Postpartum doula services are on hold as of January 2018. When I am accepting postpartum clients again, this message will be removed. Pregnancy and new parenthood are amazing and transformative, whether it’s your first baby or your fifth. Postpartum doulas provide support and nurturing for new parents, information on baby care and breast or bottle feeding, as well as assistance in ensuring a smooth transition for families and their new additions. After your partner goes back to work, your family goes home and your friends have stopped dropping off casseroles, it’s really helpful to have an additional support person to help with the transition into new motherhood. As a postpartum doula in Albuquerque, I do everything from holding your baby while you take a shower to helping you process your birth experience. I am there for you and whatever you might need during in the first days and weeks of your baby’s life. I do not provide medical advice or help diagnose medical problems. I also do not provide childcare while the parents leave the home. 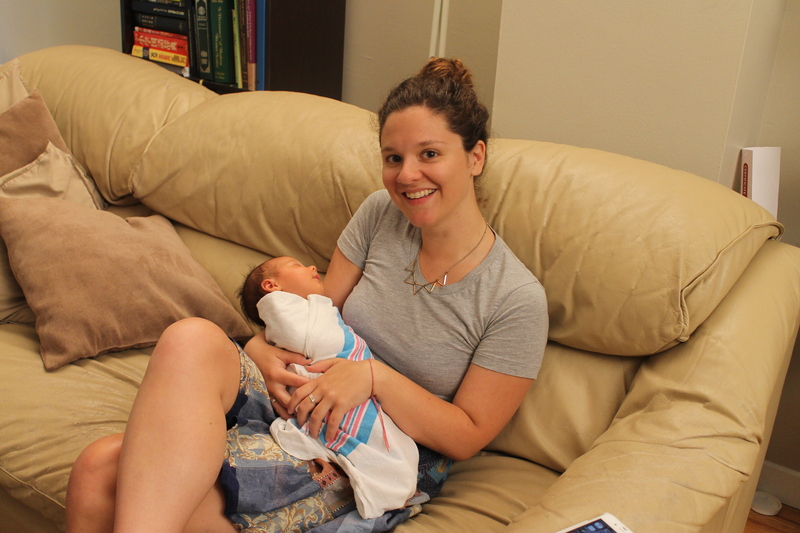 Postpartum fees are based on an hourly rate of $20. Currently, there is a three hour minimum for postpartum doula services. This does not include the postpartum visit that I do as a birth doula. You can also add on additional services, like MealTrain set up, cooling after-birth padsicles and private breastfeeding classes; check out my a la carte options! I do offer a discount on postpartum services for families who also hire me to be their birth doula, as well as a discount if you purchase nine or more hours of postpartum care. Combine postpartum doula services with placenta encapsulation to make the first few weeks or months of parenting easier and calmer. I am happy to work with you to create a custom postpartum package that fits your family’s needs. Not sure if you can afford a doula? Let’s talk! I am happy to chat with you about your family’s needs so that we can find a package or payment agreement that works for you. We can easily work out a solution for your unique situation. I can help you brainstorm ideas to make doula services affordable for your family, as well. Check out my payment options.